The mentioned conditions apply to the use of the website of Restaurant Hotel & Spa Savarin Rijswijk. Each visitor of the website is bound by these conditions. By using this website you indicate to agree to this disclaimer. All the information, text, files, images or any other form is provided by Restaurant Hotel & Spa Savarin Rijswijk. 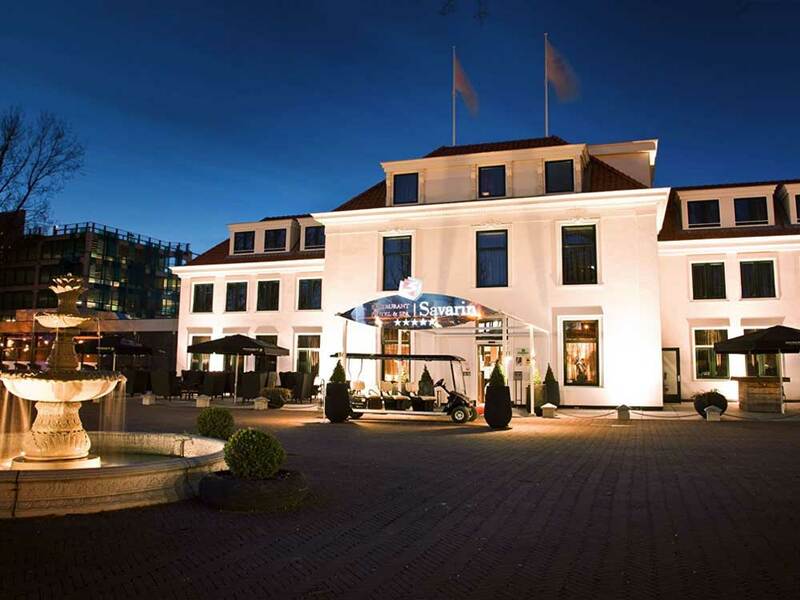 Restaurant Hotel & Spa Savarin Rijswijk takes no responsibility for inaccuracies or shortcoming in the data. Inaccuracies or shortcoming mentioned on the website do not give any right for financial compensation. The user of these website acknowledges that the data such as texts and graphics are protected by intellectual property rights, and remain Landgoed & Résidence Zuidhoorn. The total or partial representation, reproduction, adjustment and use for commercial purposes by any means of Restaurant Hotel & Spa Savarin Rijswijk is prohibited without written permission from Restaurant Hotel & Spa Savarin Rijswijk. It is also prohibited to disseminate this information electronically or saving it, except for the the automatic saving in the 'cache' memory of the browser. When you visit a website your actions will be stored in log files on the web server. Restaurant Hotel & Spa Savarin restricted to the standard log files. This means that Restaurant Hotel & Spa Savarin Rijswijk only stores basic information in the log files. This basic information will show at what time what pages were viewed. In addition, the IP address of the visitor is also stored in a database. This information is used to research your needs, to analyze trends, to maintain the website and to broad demographic information. Restaurant Hotel & Spa Savarin Rijswijk does not identify IP addresses. Restaurant Hotel & Spa Savarin Rijswijk can use your acquired data for newsletters, surveys or send information of Restaurant, Hotel & Spa Savarin to your address, either by email or through standard correspondence. Your data will under no circumstances be given or sold to third parties. In every communication Restaurant Hotel & Spa Savarin Rijswijk will clearly be given the opportunity to stop this service. The website of Restaurant Hotel & Spa Savarin Rijswijk contains links to other sites. Restaurant Hotel & Spa Savarin Rijswijk exerts no control over these websites and accepts no liability regarding its content. We encourage our visitors when they leave the Restaurant Hotel & Spa Savarin Rijswijk website to read the privacy statements of each site that collects personal information. The privacy statement of the Restaurant Hotel & Spa Savarin Rijswijk website relates only to information collected by this site. Restaurant Hotel & Spa Savarin Rijswijk has the right to change this disclaimer at any time.